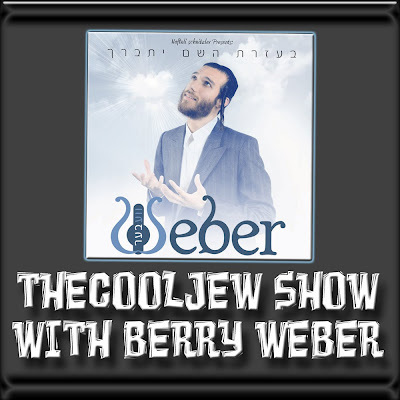 FIRST EVER INTERVIEW WITH BERRY WEBER WITH OVER 7 MINUTES OF MUSIC FROM HIS NEW ALBUM!!! Berry Weber, who's video single Be'eilokim can be seen on youtube, is set to release his debut album "Bezras Hashem Yisbarach" on June 22nd. The CD has 14 songs composed by Lipa, Motty Ilowitz, David Kaufman, Isaac Altman, Yoel Hersch Fuchs and Berry himself. The CD has aranged by MONA, Shua Fried, Ruli Ezrachi, Shai Bachar, Naftuli Y. Mendlowitz.